Crownsville Therapist: Laurie Friedman Donze - Therapist 21032. Send A Message To Dr. Friedman Donze. Session Fees: Please register as a new patient via the website below if you would like to schedule an appointment or find out about health insurance benefits for therapy. 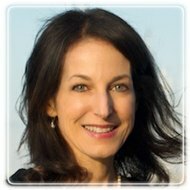 Laurie Friedman Donze, Ph.D. is a clinical psychologist who has been licensed in Maryland since 1997. She graduated Phi Beta Kappa from the University of California, Berkeley, with an undergraduate degree in psychology. She received her master’s and doctorate in psychology from Michigan State University, completed a clinical internship at the Veterans Affairs hospital in Palo Alto, California, and completed post-graduate training in psychoanalytic psychotherapy at the Baltimore-Washington Center for Psychoanalysis. Since moving to Maryland in 1997, Dr. Donze has worked at Johns Hopkins and at the National Institutes of Health (NIH). She has seen patients in her own private psychotherapy practice since 2003. Dr. Donze specializes in helping people understand and change long-standing patterns of behavior and/or thoughts that interfere with their ability to achieve happiness and fulfillment. Her approach involves intensive, insight-oriented therapy in which patients attend 45-minute sessions at a frequency that meets their individual needs, typically one to three times per week. She works collaboratively with her clients to uncover the specific triggers and conflicts underlying their symptoms and problematic behavior, and to understand current difficulties within the context of previous life experiences. The benefits of this approach often include symptom relief, increased confidence and success in work and relationships, and greater capacity to enjoy life. Sometimes patients achieve their desired goals in a relatively short amount of time (e.g., a few months), although often therapy is a longer process, especially if there are multiple areas of concern, stress, or life changes to address. Dr. Donze works primarily with adults and adolescents struggling with anxiety, eating and weight concerns, post-traumatic stress disorder (PTSD), depression and bipolar disorder, and relationship difficulties. She is comfortable treating patients with a range of other problems as well, including work-related issues, academic difficulties, parenting or caregiver concerns, life-transitions, sexual troubles, infertility, grief/loss, and chronic illness. Dr. Donze is experienced in individual, couples, and family therapy, including family-based obesity treatment for children and adolescents. She currently participates with several insurance plans and is able to submit claims electronically to help patients receive maximum out-of-network benefits for psychotherapy, regardless of their insurance carrier. Contact Dr. Donze to learn about your insurance coverage and to ask any questions you may have about the therapy process. If you are interested in scheduling an appointment, please click on her Website link, above, to register as a new patient in her secure database and to download her intake documents to complete before your first session. Once you have registered on line, please call Dr. Donze to schedule an appointment. If, after an initial evaluation, you feel that she is not the best therapist for you, she will be glad to assist you in finding another therapist better suited to meet your needs.